British Prime Minister David Cameron has said that he want to see countries which receive aid “adhering to proper human rights”. 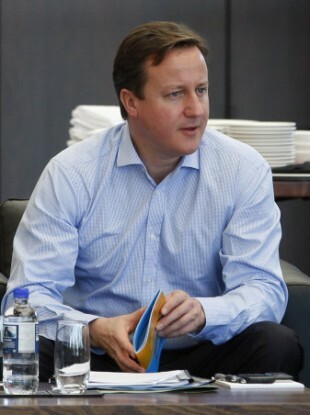 BRITISH PRIME MINISTER David Cameron has threatened to block aid from the UK to countries that impose anti-homosexual laws. Cameron raised the issue with some of those involved with the Commonwealth Heads of Government Meeting in Perth, Australia, which is to take place next week, the BBC reports. Cameron said that nations receiving aid should adhere to “proper human rights”. Countries such as Malawi, Uganda and Ghana have found themselves in the international spotlight over their treatment of homosexual citizens – and Malawi has already had some budget support reduced. Only one type of bilateral aid would be affected by Cameron’s threat – general budget support – however the overall amount of aid to a country would not be reduced. Cameron conceded that countries couldn’t be expected to “change overnight” but added “we want to see countries that receive our aid adhering to proper human rights”. Email “Cameron threatens to cut aid to 'anti-gay' countries ”. Feedback on “Cameron threatens to cut aid to 'anti-gay' countries ”.